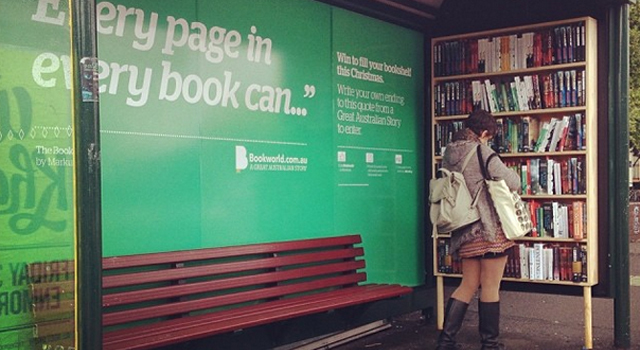 As part of a Christmas campaign, Australian online store Bookworld has created pop-up book stops at bus shelters around Sydney and Melbourne. Interested commuters were free to help themselves to any books that they wanted. The campaign created by ad agency VCCP, hopes to remind Australians that Bookworld, with over 13 million books, is a local alternative to large international booksellers companies like Amazon.